In this world, solving a problem always leads to more problems. Acquiring a car cover will protect your car from oxidation, corrosion, and damage from external hazards. However, you will have to live with the nightmare of cleaning the car cover. Are you looking at this bulky material in front of you and wondering where to start? Well, there must be a way to handle this for sure. The simplest way is to take it to cover cleaners to help you out with the cleaning. However, you will have to dig deeper into your pockets. The other methods are to clean with your hands or use a machine washer. Indoor and outdoor car covers are made of different materials. Therefore, you will have to consider that before settling on one of these methods. No matter the process, the result will always be good for your car. This is because a clean car cover is durable and hygienic. Spread out the car cover on a large, clean, and dry cover. If you lack such, your car should provide the best surface still. However, you will have to make sure you fully cover the surface of your car. Assess the type of dirt that you want to clean. You will not want to waste your time scrubbing a whole car cover to remove simple dirt. If you cannot figure it out, consider running water on top of it first. You can then use scrubbers and detergents. For built-up dirt or soil, all you will have to do is run water jets on top of it. For tough stains, consider using a soft scrubber then follow with running water on top. If the stain persists, you can then proceed to tougher scrubbers and detergents. For oily and greasy stains, you should consider dissolving a mild, dilute detergent solution. You can then apply it on the surface and the scrub using a sponge and clean water. Turn the car cover inside out then repeat the process. Proceed with hanging to air-dry it. It is essential to note that indoor car covers are made of a different fiber. Consequently, you will only be at liberty to scrub with water and soap only. The process is indeed as tedious as it seems. Therefore, I would recommend that you use a machine washer for such. For comfort lovers, this process has got you covered. The machine works well with indoor car covers. This would be the most convenient to remove stubborn stains. Such stains could be a sap, bird droppings, or even excess dirt. All you need for this process is a machine washer, water, and the cover. Using a machine is already enough damage to your car cover. Therefore, consider using a hang line over a drier. Moreover, you will need so much water for this process compared to cleaning with hands. You should then rinse your clothes properly. This process will require the use of much water though. This is however easy for the machine. All you will have to do is to use the washer's rinse cycle several times. Proper rinsing will help lengthen the life of your car cover. Moreover, it may save you a great deal, if you are sensitive to certain scents and detergents residues. Put onto a hang line to air-dry. This is the best method to dry car covers. However, you can also use other methods such as driers. However, the lifespan of your car cover is at stake. Car covers are very good for the security and maintaining the aesthetics of your car. 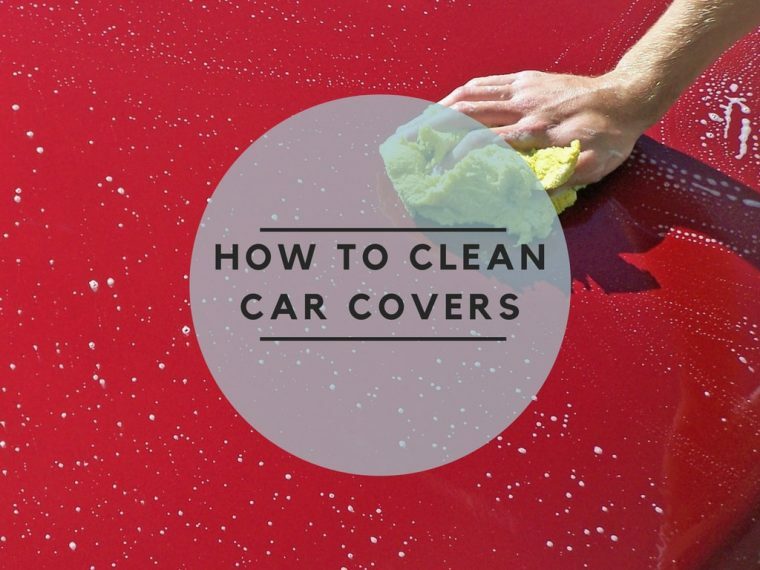 Having a clean car cover will only mean better for you and your car. There are different types of car covers out there; the indoor and outdoor methods. This will influence the type of cleaning method you will use. Although hand washing is preferred over commercial machines, it is very tedious to handle. Machines provide a better option for anyone who wishes to have quicker cleaning. Maintaining the lifespan of a car cover is very crucial as it saves you the favor of acquiring a new one. Besides using mild soap solutions and polish, you should consider using cold water instead of hot. Nevertheless, do not use fabric softener or beach to clean car covers. Moreover, you should minimize cleaning car covers of using a washing machine or a drier. Most importantly, consider air-drying your car covers. Next time you want to clean your car cover, it is that simple.